Unless you live under a rock, you should know that the age of mainstream virtual reality is fast approaching. According to Statista, the total number of active VR users is predicted to reach 171 million in 2018. 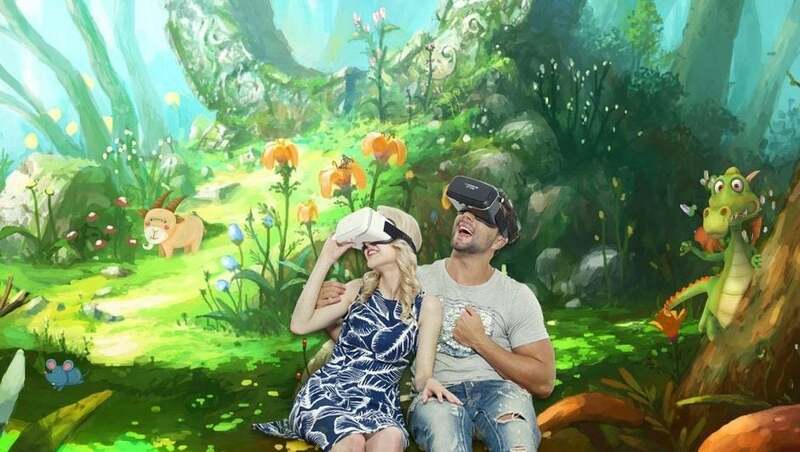 And apart from gaming, brands are also starting to adopt VR into their marketing. Medical Augmented Intelligence (MAI) is one of the many startups that aim to incorporate virtual reality into education. It features the Acupuncture VR program, which provide students with a live learning platform. MAI’s Acupuncture VR works by connecting instructors and students via live virtual space. Although it focuses on acupuncture, it also offers radiograph filtering, which is useful for studying the human anatomy. The company is also looking to expand into other fields of medical practice. Hopefully, they have something new in store this 2017. You may think that virtual reality is all about altering what you see. However, SpaceoutVR proves that it should also be about what you hear. SpaceoutVR is a virtual reality app that allows you to create your own virtual multimedia space. Its main selling point is that you can inject your own music playlist into the experience. You can also integrate content from external platforms like Soundcloud, Giphy, Google Search, and YouTube. While SpaceoutVR was founded in 2015, the app was expected to go mainstream in 2017. In fact, it was recently featured on NBC’s show – Superstore in February 2017. The Metaverse Channel is another startup that integrates VR technology with education. They aim to inspire today’s youth by introducing them to historical figures like Einstein and Picasso in a face-to-face model. Just like MAI, the Metaverse Channel augments the learning experience of students with tools and learning resources through VR space. Right now, the company works on custom projects for educators along with virtual set platforms with CBS Digital. A virtual reality startup doesn’t have to be tied to an existing hardware like the Samsung Gear VR or Oculus Rift. InvisiVision, for example, is a VR/AR startup that makes their own eyewear. The product’s goal is simple – to allow the user to control what they see. InvisiVision’s eyewear works by integrating two different image streams into the user’s vision. The user, in turn, can choose which stream to view. Currently, the company is focusing on the eyewear’s applications in gaming, movies, and interactive marketing. When it comes to storytelling, virtual reality proves to be the most immersive among different content types. That’s why Baobab Studios fully embraces VR technology in their animation projects. The company currently has two flagship characters – Mac and Cheez. Along with their robot sidekick Peas, the blundering duo embarks on adventures that ultimately reveal a brand new market in the cinematic industry. You can check out Mac and Cheez in Asteroids and Invasion using mainstream devices such as the Gear VR, Daydream, Oculus, and HTC Vive. Both apps can be downloaded for free on the studio’s website. Lastly, Drop is an app that, as of February 2017, is still in its beta stage. It is one of the 20 virtual reality startups funded by HTC in their accelerator program. Drop’s main goal is to reinvent web searches by spicing things up with a virtual reality interface. While the app is still in development, you can become a part of the beta phase by signing up on their site.